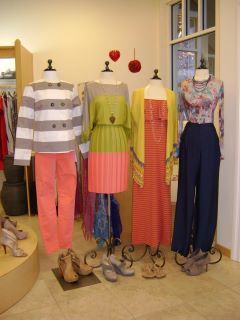 What’s in the window this week at Bella…striped jacket by Jack, coral skinnies by Hudson, colorblock dress by BCBG, maxi dress and color tipped cardigan by Jack, printed tee by BCBG, wide leg trouser by BCBGeneration, and shoes by Jeffrey Campbell, Seychelles, Bernardo and Bibi Lou. 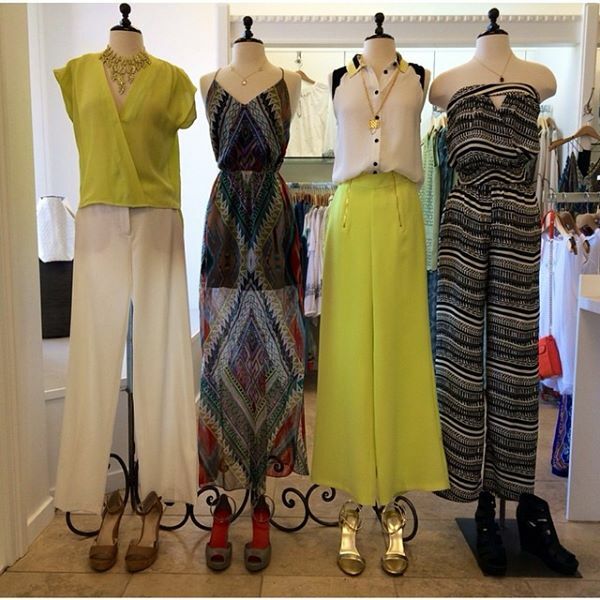 New shipment in from BCBG…love this colorblock! 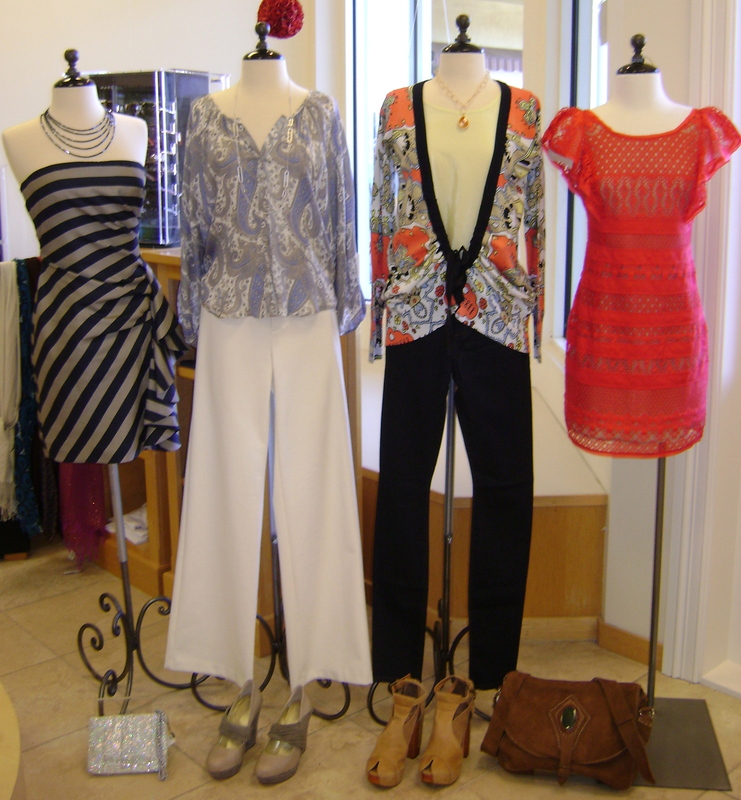 What’s in the window this week at Bella…stripe dress by BCBG, paisley blouse by Gemma, trousers by Michael by Michael Kors, cardigan by Charlotte Tarantola, top by BCBGeneration, skinnies by Joe’s Jeans, dress by BCBG. Shoes and bags by BCBGeneration, Seychelles, Jeffrey Campbell and Stela 9. 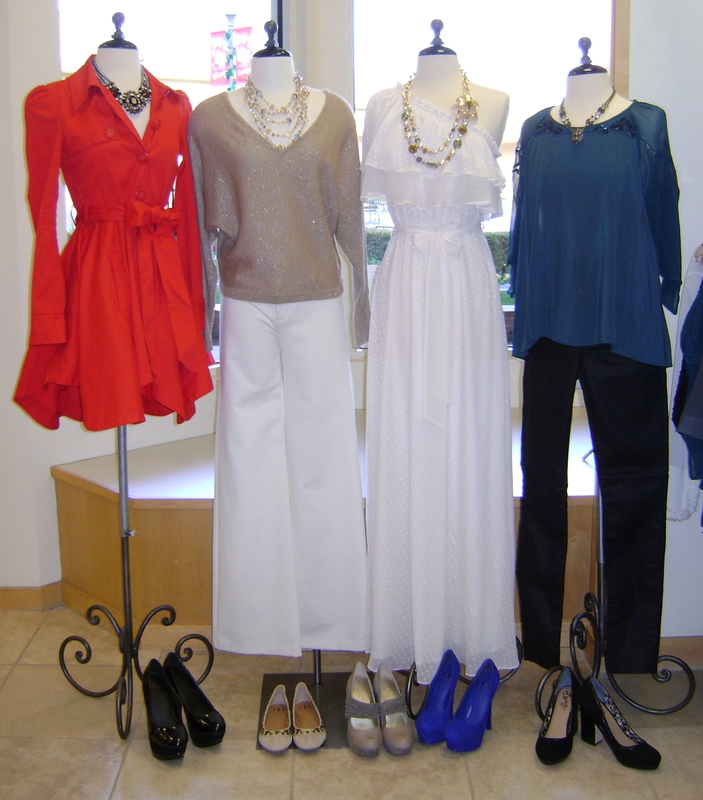 What’s in the Window this week at Bella…trench coat by Jack, lurex sweater by BCBG, trousers by Michael by Michael Kors, maxi dress by Hazel, beaded top by Saivana, coated denim by Seven for all Mankind. Shoes by Kelsi Dagger and Seychelles.